JOIN US for our 2019 Green Difference Awards! Join us as we honor Green Difference Makers made up of Principals, Teachers, Advisors, Students, Citizens, Schools, School Groups/Clubs, and our Sponsors nationally and internationally at our annual event. Awardees and registration for our event will be announced soon! End of Year Awards and Recognition Forms are CLOSING SOON! Are you a graduating senior looking to receive an Honor Stole? Are you an individual student or teacher looking to get yourself or your class recognized for your many green efforts this year? As a reminder, ALL submissions for end of year awards must be received through our online forms. Directions for what is required and how to submit can be found below. Plastic Pollution Film now offers NGSS Lesson Plans for Grades 3-12 with Educational License. ﻿ STRAWS is an educational and inspiring 30-minute documentary film that highlights the devastating levels of straws and other plastic pollution in our waterways and oceans and provides accessible solutions for students and families. The film now offers Next Generation Science Standards congruent "Action Lesson Plans" as part of its STRAWS in Schools Impact Campaign to reach students nationwide . PGS members receive 20% discount on the film and curriculum package (NGSS grades 3-12) when you use the code "PGS20". Click here to learn more! Project Green Schools and National Grid will provide one $2,500 scholarship to a MA or RI senior pursuing higher education in an energy-related field. Click here to apply. The winner will be announced on May 1st, 2019. Project Green Schools Is Headed Back to MarineLab! Join Us! Project Green Schools & Coral Restoration Foundation are proud to announce the return of their Ocean Ambassador Program for the Summer of 2019! This summer leadership institute for middle and high school students will be held in Key Largo, FL during the weekend of July 26-28, 2019. Secure your spot now before it’s too late! Click to learn more! ﻿Join NEEF in the nation's largest celebration of environmental education as we get ready for this year's National Environmental Education Week (EE Week). Beginning on Earth Day, this year's EE Week will take place April 22nd through April 26th. Throughout the week, NEEF will be releasing updated infographics and resources, stories from the field, and our new Greening STEM toolkit . Stay up-to-date on all things EE by following NEEF's EE Week page on Facebook where you can check out the latest polls and resources. ﻿On Friday, March 15, 2019 hundreds of thousands, or perhaps millions, of students in at least 112 countries walked out of class for the largest youth climate action in history. Global politics is changing because young people stepped up to organize these climate strikes at their schools. The Road to the Green New Deal is our plan to keep up the momentum this spring. Road to the Green New Deal is 9 massive tour stops and over 100 town halls all across America. Find an event near you and join the movement! Our PGS National Youth Council Co-Secretary Rebecca has two projects she'd like to share with our members. Please consider supporting Rebecca's work. A nonprofit founded by Rebecca t in May of 2018 during her Sophomore Year. 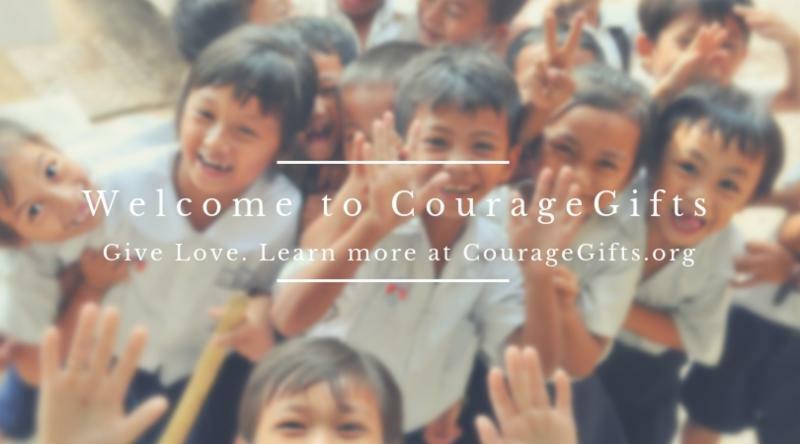 Courage Gifts is a platform for individuals to learn about global issues & to take action towards them. It's that time of year again! Boston Latin School YouthCAN's 13th Annual Youth Summit on Climate Change and Sustainability is coming up on May 4th! This year, we’re focusing on the theme of Facing Waste, and we are, like every year, trying to bring together as many young people as possible to learn about climate change and how they can help combat its effects. Click to learn more. A children’s book tackling stereotypes in STEM, by sharing the colorful stories of 26 diverse women currently in STEM careers. From an astronomer to a zoologist we shared the career and a profile - to share the "Superheroes making our world a green place! W e include people like Environmental Lawyer Tara Houska and 4 of the trailblazing female Park Rangers! UgMO is committed to delivering purpose-built platform solutions that drive sustainable change in natural resource management practices and outcomes. Recognizing that education is the foundation of all sustainability efforts, UgMO has partnered with Project Green Schools to support and inspire the next generation of environmental leaders to innovate new ways of driving water conservation and sustainability. Through this partnership, UgMO develops impactful water conservation curriculum for K-12 students and sponsors the students implementing those initiatives. Sign up online for free here. Watson Institute Accepting Applications for Two Programs of Study! Watson Institute at Lynn University’s 3-year Bachelor of Science in Social Entrepreneurship is for students passionate about solving a specific social, environmental, or economic challenge and leading a lifetime of impact. The degree includes three years of rigorous training, intensive mentorship, practice solving complex social problems, and a powerful community of peers. In addition to Watson’s curriculum, students complete Lynn University’s innovative Dialogues core curriculum. In Watson’s 4-month Semester Incubator , students and recent graduates with an early stage social venture complete their Watson experience as a study away or gap semester. The program includes training in fundraising, team building, business model validation, and personal development; intensive mentorship; and a powerful community of peers. Students can earn university credits for their completion of this program. 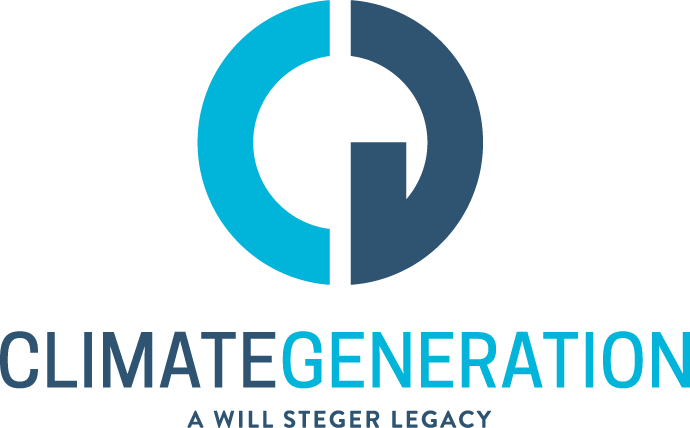 Join Climate Generation in Washington D.C. this August for their 14th annual Summer Institute for Climate Change education that will focus on the humanities. If you are a social studies, English Language Arts, environmental science, or other arts teacher this Institute is for you. Registration is open and scholarships are available You can also download their brand new free resource — Innovation and Renewable Energy: A Humanities Module — that features The Boy Who Harnessed the Wind! Students read the book with guidance from literary worksheets; discuss renewable energy projects through the lens of geography, economics, and civics; and use the process of engineering design to solve a community issue brought on by climate change. Bow Seat Ocean Awareness Programs invites students ages 11-18 from around the world to submit visual art, poetry, prose, film, and music that explores the impact of climate change on the ocean. Students may earn scholarships of up to $1,500. Learn more and get started . Deadline: June 17, 2019. Bow Seat's international competition challenges middle and high school students to design and lead a project that creatively educates others about plastic pollution and inspires action to reduce or prevent marine debris. 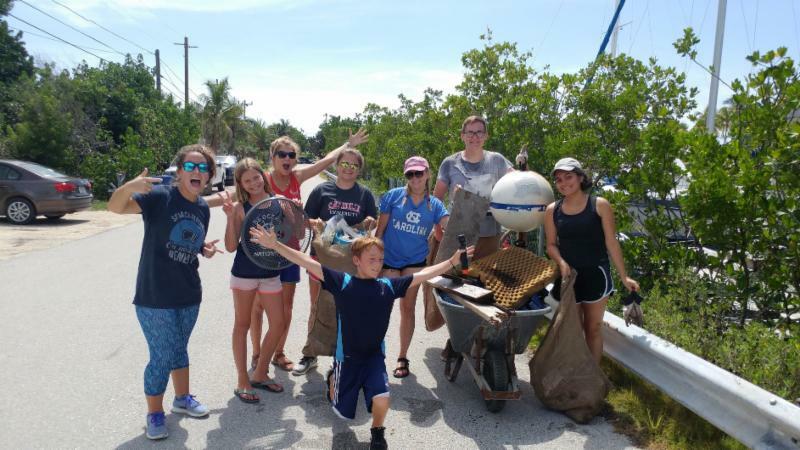 It's a perfect opportunity for green teams, marine science or art clubs, honor society members, Scout troops, or any environmentally-minded teens. Students can earn awards of up to $5,000! The deadline is June 17, 2019, but interested students or classes should register their project ideas early. To get started and for more information, click here.